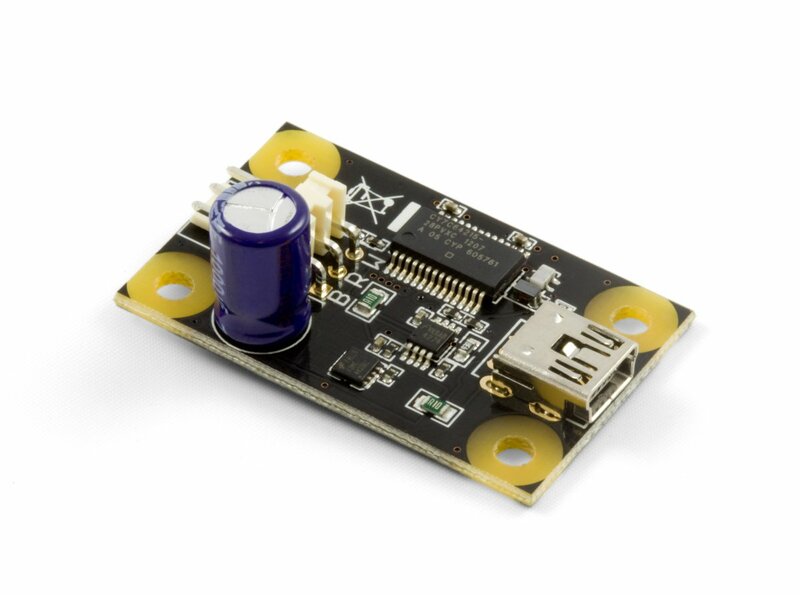 Control one RC servo motor or actuator with this controller board. Powered solely by your computer via USB. Note: The 1066_1B is identical to the 1066_1, except that you have the option of whether you want to include the USB cable. 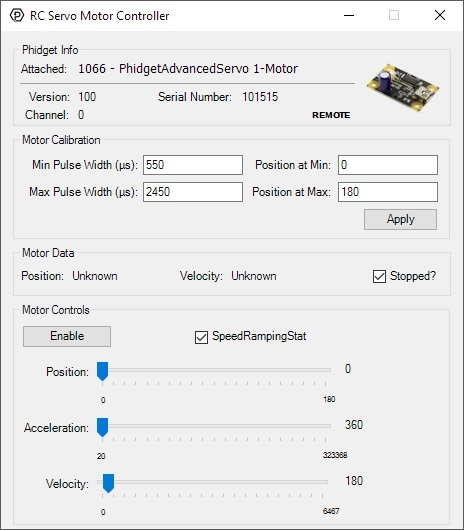 The PhidgetAdvancedServo 1-Motor allows you to control the position, velocity, and acceleration of one RC servo motor. The 1066 is powered solely by the USB cable – no additional power source is required. The 1066 measures the power consumption of the servo, and powers servo motors of up to 450mA. The PhidgetAdvancedServo can drive one servo motor. 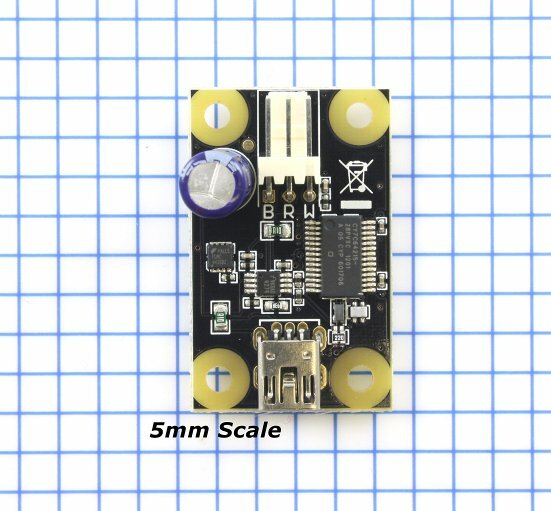 Each of the servo motors in the list below is compatible with this Phidget and plugs directly to the board with no extra cables or soldering required. Servos come in two major varieties: limited rotation and continuous rotation. With limited rotation servos, the motor has a limited range of motion, but can be precisely controlled within that range. A continuous rotation servo can rotate continuously, but you won't be able to tell the servo to move to a specific location in degrees; instead you'll specify a direction and speed and for it to rotate at. You can protect your board from dust and debris by purchasing an enclosure. 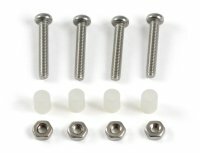 An enclosure will also prevent unintentional shorts caused by objects touching the pins on the bottom of the board or any terminal screws. Connect the servo motor to the PhidgetAdvancedServo controller. Connect the Phidget to your computer using the USB cable. Now that you have everything together, let's start using the 1066! In order to demonstrate the functionality of the 1066, the Phidget Control Panel running on a Windows machine will be used. Linux users can follow the getting started with Linux guide and continue reading here for more information about the 1066. Motor calibration options are provided. You can change the minimum and maximum pulse widths for your RC servo motor in the appropriate boxes. You can also change which position these pulse widths map to. The SpeedRampingState checkbox lets the 1066 know whether or not to take the Acceleration and Velocity values into account when moving the RC servo motor. Use the Position slider to change the target position and move the RC servo motor. 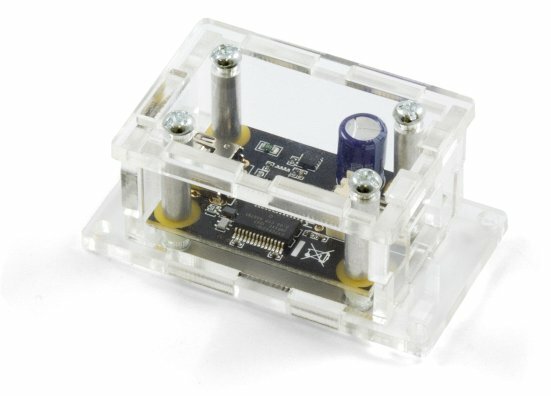 This Phidget is compatible with the RCServo Examples, and the CurrentInput Examples. An RC servo motor can be instructed to move to a desired position by the controller. Internally, it monitors the current position, and drives the motor as fast as it can until it reaches the desired position. This is a very cheap and simple way to control a motor. It has some limitations - there is no way for the controller to know the current position and speed of the motor. Applications that want smooth movement suffer from the aggressive acceleration. The 1066 is able to address some of these limitations. Instead of sending the desired position immediately, the 1066 sends a series of progressive positions according to acceleration and velocity parameters. In most applications, this dramatically smooths the operation of the servo, and allows reasonably precise control of position, velocity and acceleration. The 1066 has a built in switching regulator - this allows it to efficiently operate from a wide voltage range (6-15VDC), and maintain proper power to the servo motors even if the power supply is varying. This built in voltage regulator will not operate if your power supply is undersized. For more information about servo motors and controllers, check out the Servo Motor and Controller Primer. Set the minimum to 1000us and the maximum to 1001us. This will probably be a safe midpoint to start from. Reduce the minimum to 900us and hit apply. Enable the servo and test moving the position to either extreme. Continue to reduce the minimum and test the range. If at any point the servo vibrates or makes a buzzing noise, it means it's stalled out and you've gone past its minimum. Continue increasing the minimum until there is no buzzing or vibration when holding the minimum position. Repeat this process for the maximum pulse width, increasing it until the motor stalls out and then decreasing until it doesn't. This process is important because selecting a minimum or maximum pulse width that results in the motor stalling could have an impact on the motor's lifespan if it spends a lot of time holding position at those locations. If you have a continuous rotation servo, you don't have to worry about it stalling so you can just increase the maximum and decrease the minimum until you reach the servo's maximum speed. The 1066 continuously measures the current consumed by each motor. The current roughly corresponds to torque, making it possible to detect several scenarios. 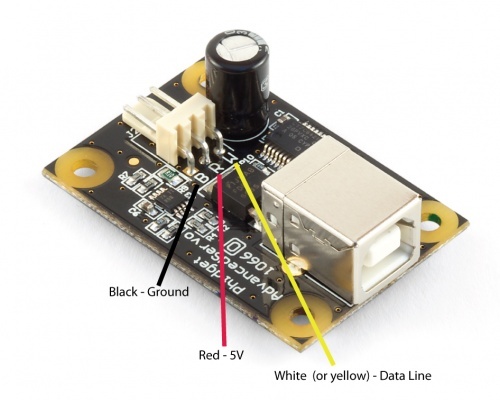 By monitoring for no current, it’s possible to determine if the servo is not connected. It may not be possible to distinguish between a servo at rest and a servo not attached. Stalled motors can be detected, by monitoring for the maximum current possible with your motor. The position limits of the servo can be programmatically determined by moving the servo until it stalls against the internal or external stops. The 1066 does not know the current position of the motor on its own. If your motor is free to move, and is not being driven beyond the physical limitations of the motor, the position returned to your application will be very close to the position of the motor. A continuous rotation servo is a servo motor that has had its headgear-stop removed and potentiometer replaced by two matched-value resistors. This has the effect of allowing the motor to rotate freely through a full range of motion, but disables the motor’s ability to control it’s position. When using the 1066 with a servo motor modified in this way, the position control in software becomes the motor's speed control. Because the two resistors that replace the motor’s potentiometer are matched in value, the motor will always think its shaft is at center position. If the target position in software is set to center, the motor will believe it has achieved the target and will therefore not rotate. The further away from center the target position is set to, the faster the motor will rotate (trying to reach that position, but never doing so). Changing the value above or below center changes the direction of rotation. Electronic Speed Controllers are commonly used in RC hobby planes, cars, helicopters. It's a controller that accepts a PWM input signal, and controls a motor based on that signal. The ESC accepts power from an external source, normally a battery pack. ESCs can be controlled by the 1066, but the vast majority of ESCs on the market will destroy the 1066 if they are plugged in without modification. In a hobby RC system, the ESC is responsible for regulating some of the battery current down to ~5V, and supplying it to the radio receiver. An ESC designed to the power the receiver will advertise that it has a Battery Eliminator Circuit (BEC). When you plug an ESC into the 1066, the 1066 is acting as the radio receiver. The 1066 was not designed to be powered by the devices it controls, and the voltage regulator on the 1066 will self-destruct if a device tries to power it. If the center pin from the 3-wire servo connector between the 1066 and the ESC is disconnected, the BEC on the ESC will not be able to power the 1066, and the voltage regulator will not fail. How the ESC inteprets the PWM signal and controls the motor is a function of the ESC. Higher end ESCs can be configured based on the application. The hobby RC market has transitioned to Brushless DC Motors (BLDC). As you select an ESC, watch that the battery voltage input matches that of your system, and the type of motor controlled is what you have. Brushed DC and Brushless DC Motors are completely different, and require different controllers. Wiring layout is critical with ESCs. The currents to the motor and on the ground return can be enormous. If these currents end up travelling back through USB cables, the system will not be stable. Some ESCs are optically isolated (OPTO) - a big advantage that reduces interference. Many applications call for several servo motors operating in unison - for example, operating a CNC table, or a robot arm. Highly precise synchronization of servos using the 1066 is not possible, as the sequencing will be affected by the real-time performance of your operating system. Each servo is controlled as a independent unit, so there is no way of arranging for a particular action to happen to all motors at the same time. Typical jitter can be 10-30mS. You can still use the 1066 to power servos that are rated for a higher power, but you will need to provide an external power supply. Cut and reattach the red and black wires as shown in the diagram below. Make sure you disconnect the red wire from the 1066 as pictured, because reverse current from the external power supply could damage the servo controller board. When you download the sample code, look in the "AdvancedServoExamples" folder, not the "ServoExamples" folder. Each servo motor behaves slightly differently. 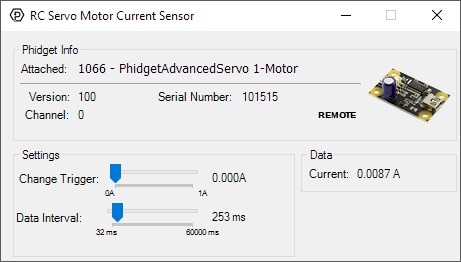 The Phidgets API provides calibration parameters for a number of different models of servo motors; however these values are generic with respect to the model and not specific to each individual unit. It is possible to generate your own values through some manual calibration in the event that your application requires very accurate control or if you are using a servo for which default values are not provided. Read the following manual to find out how to do it.